Read more about the slideshow/photos at Merle's Outdoor Recreation Articles on examiner.com These photos were taken in the last year or two. 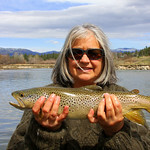 They are examples of fishing in different months/seasons in western Montana on the Bitterroot, Blackfoot, Big Hole and Clark Fork rivers. 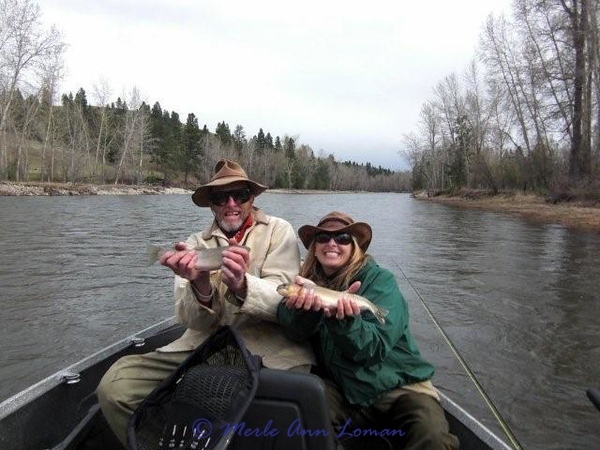 They support the article "Jack Mauer's predictions for 2010 fishing season in western Montana." KJ and her dad fishing the upper Bitterroot with Jack.